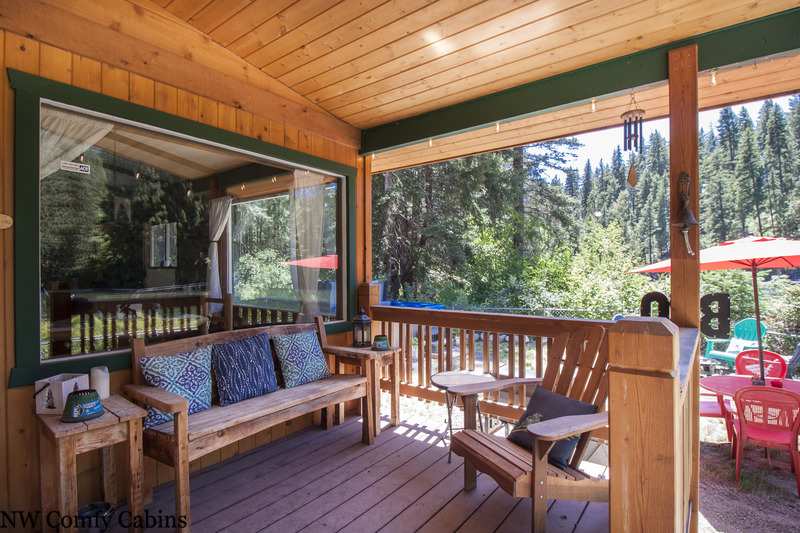 Nestled along the Wenatchee River and surrounded by soaring pine and spruce trees, this cozy, riverside cabin is the ultimate woodland retreat built for unwinding and relaxing. 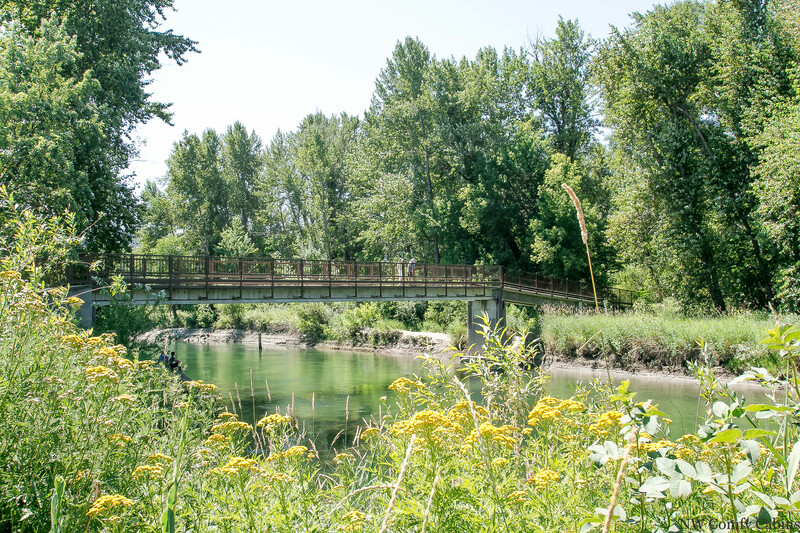 Located on the side of the Wenatchee River, River's Edge will have you spending your days listening to the sounds of flowing water and birds chirping. 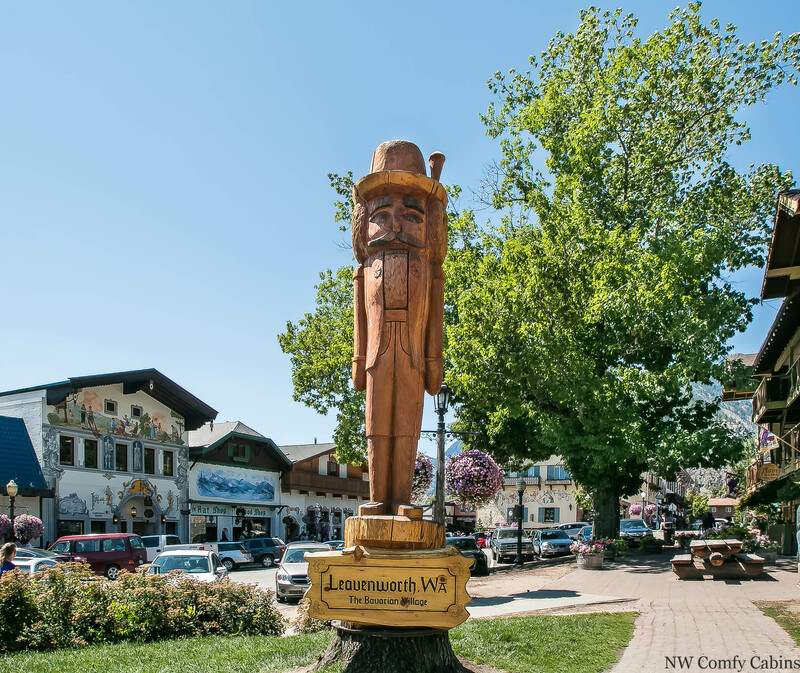 It is the ideal spot for hiking, river tubing, skiing, wine tasting, and much, much more! 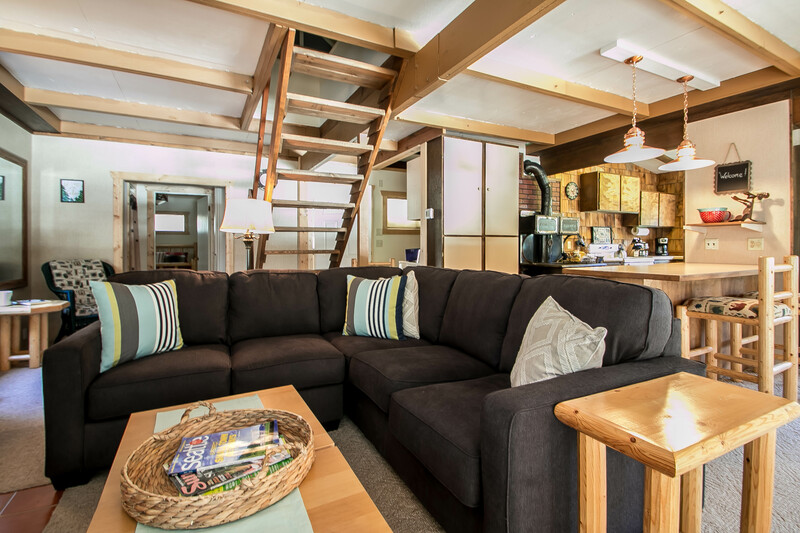 In the main room, you will find an open concept living area with comfortable seating around a wood fireplace. At the end of a long day, this is the perfect place to snuggle under a blanket next to a crackling fire reading a good book or playing a game of cribbage. Down the hallway is a private master bedroom with a queen size mattress. 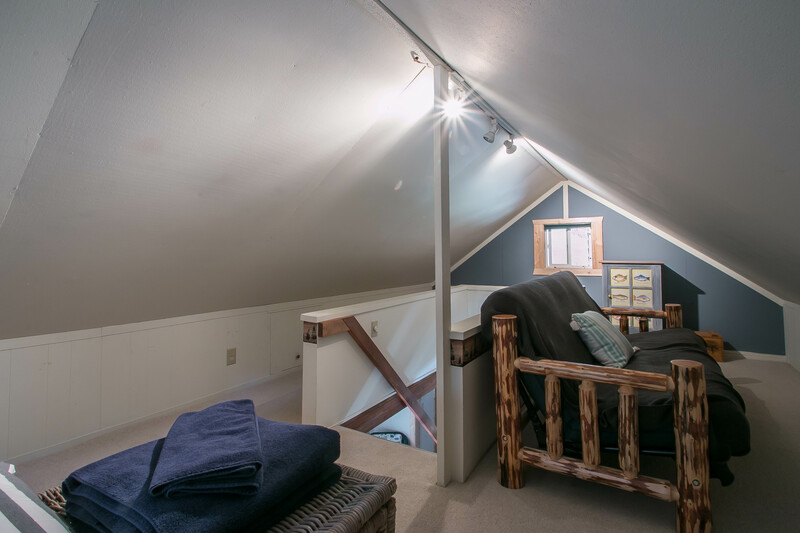 Upstairs in the newly remodeled loft, you will find another queen bed perfect for kids or a second couple. Please be cautious with the stairwell. 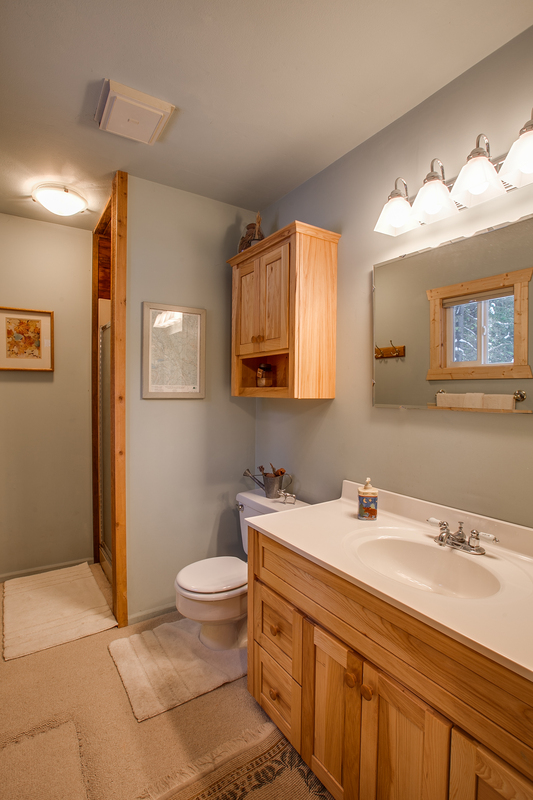 A 3/4 bathroom with stall shower is centrally located to serve both upstairs and downstairs guests. All linens, sheets, and towels are provided. When it's time for dinner enjoy a home-cooked meal from our fully stocked kitchen with plenty of counter space to spread out. 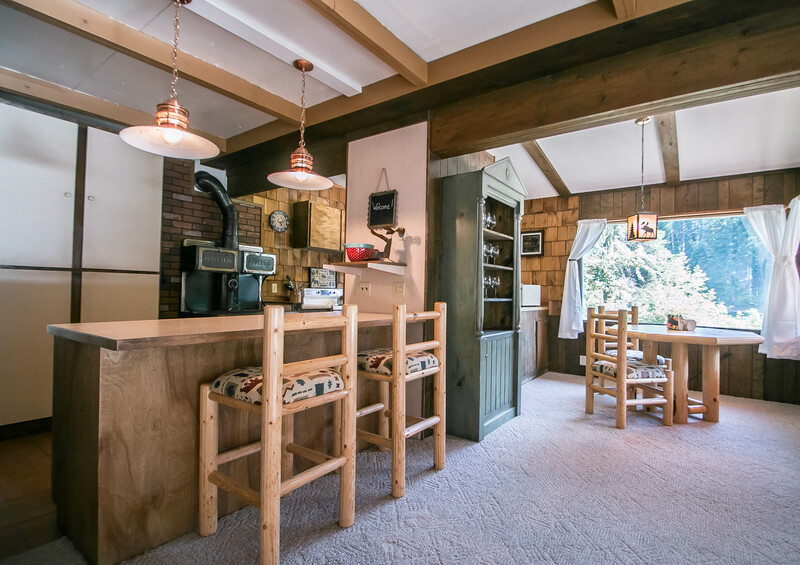 An antique stove sets off that rustic gourmet atmosphere. 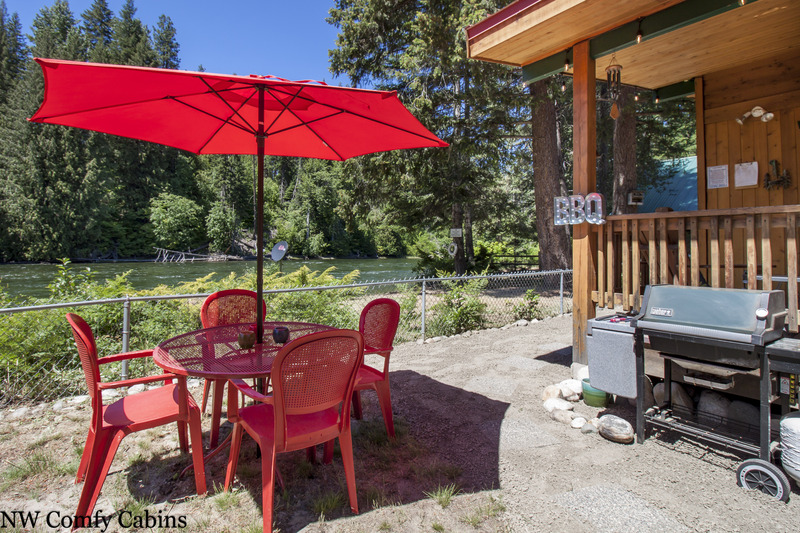 River's Edge offers a large covered porch with propane BBQ for those outdoor feasts you were hoping to grill up. If romance is your plan, there is a small table to enjoy those intimate conversations over dinner for two. Families will be completely comfortable eating around our large dining room table with a fantastic view of the great outdoors. 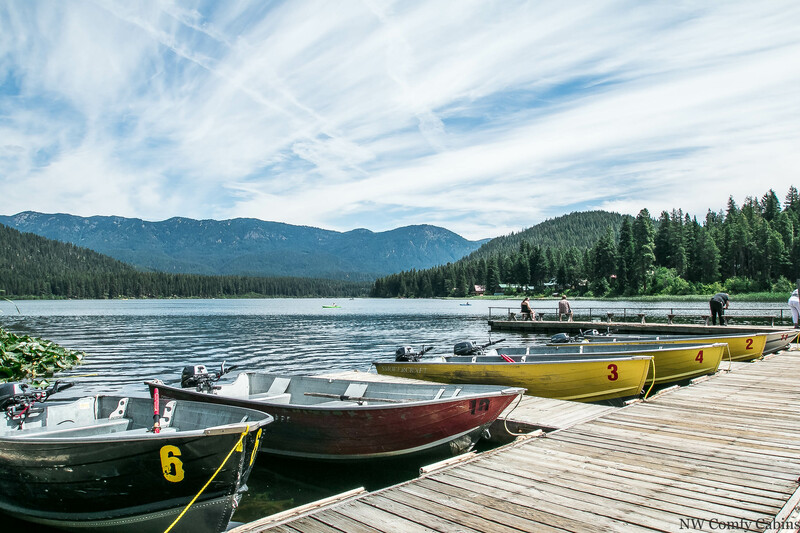 You can also try the local Mountain Springs Lodge just a short two-minute drive away. Wrap up your nature-filled day by sitting on a private patio watching the osprey soar and savoring a nice glass of wine while star gazing up above. You will feel right at home at River's Edge: an ideal spot for a romantic couple's retreat or memorable getaway with family and friends! 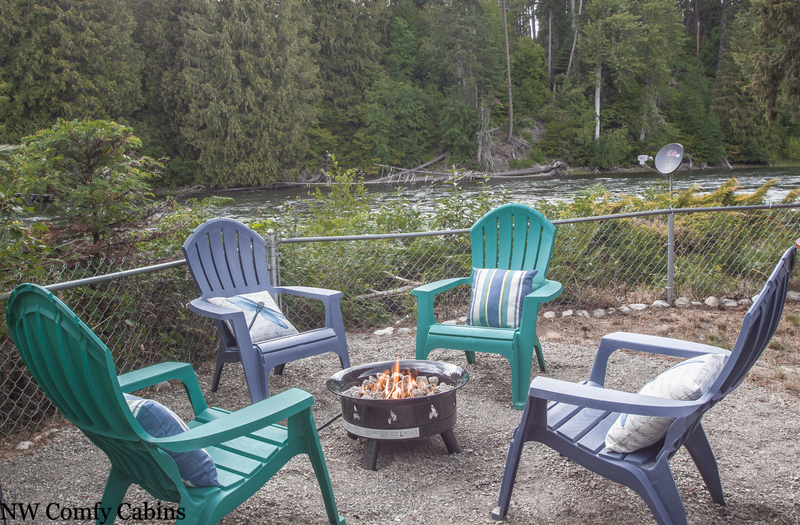 Some of our guests have been entertained by local wildlife, including bear, fishing and enjoying thier natural habitat as well...a thrill for all. Children are welcome but please make sure adults remain vigilant in keeping an eye on them as the steps upstairs are steep and railings are wider set. 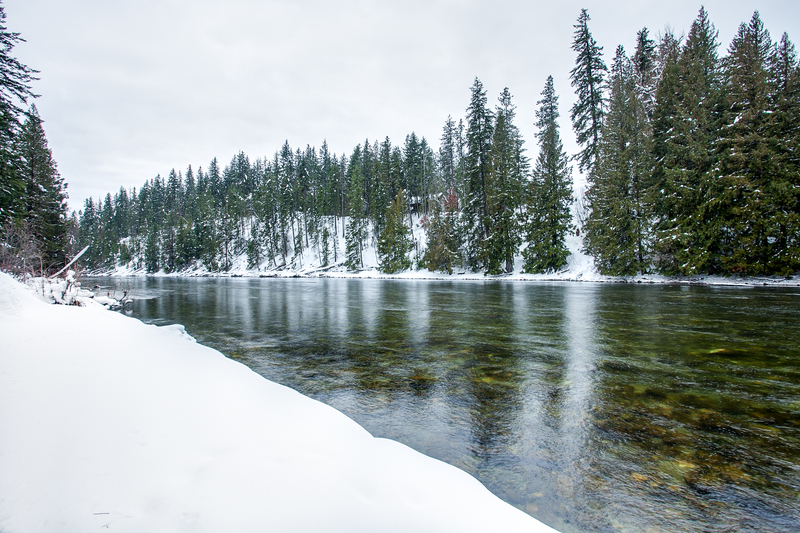 Please be cautious around the river as it can become deep and fast running. Finally, for the health and safety of all, this is a smoke-free property. 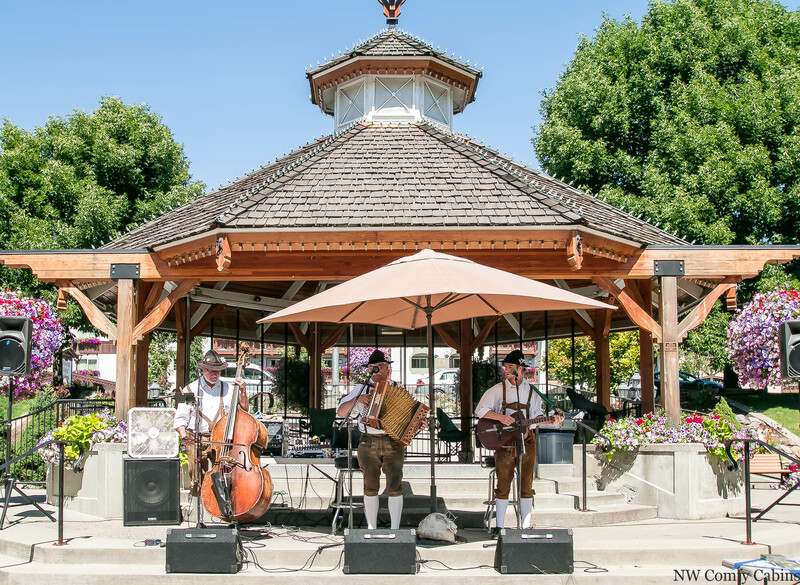 Fees Vary By Season, Festival Dates and Holidays. The base rate for this property is for the first 2 guests. Any additional guests over 2 will be calculated at a fee of $25.00 per guest per night up to the maximum occupancy of 4 people. Children 1 and under are FREE. This home is NOT pet friendly. 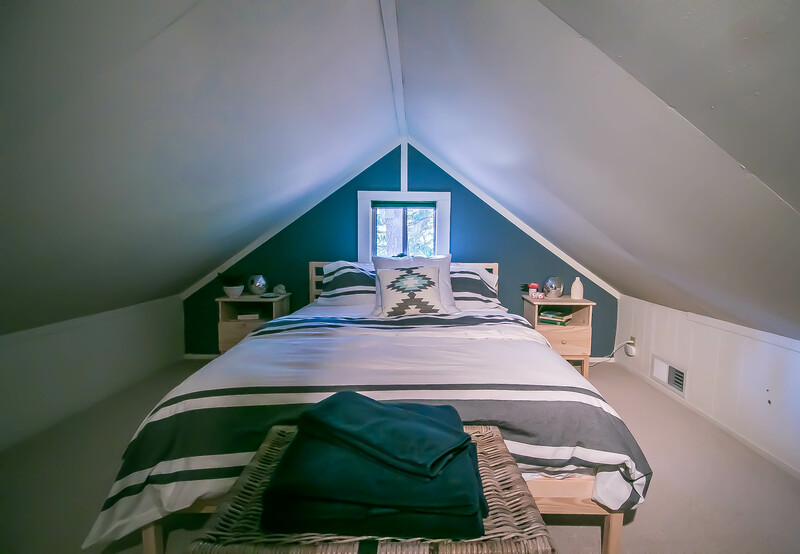 This is a privately owned vacation home and we recognize that the home sleeps more than 4 people. 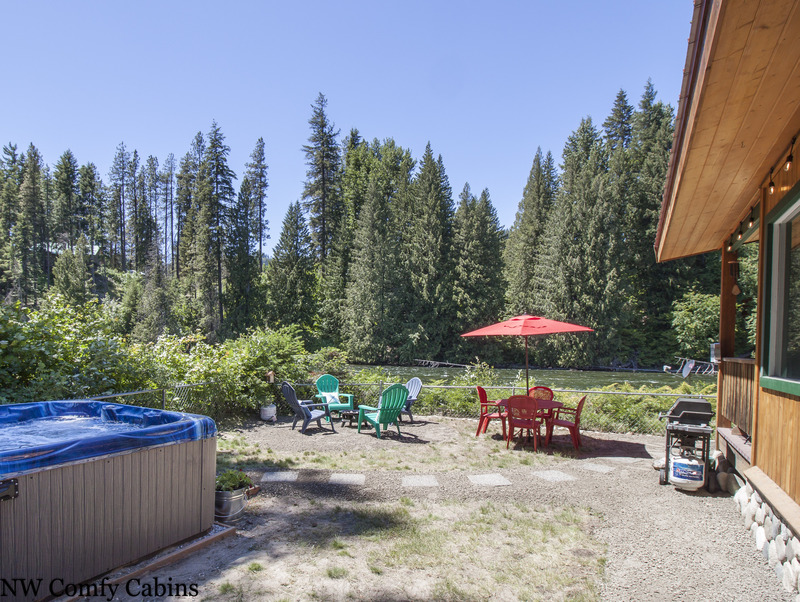 The owners (based on fire marshal regulations, Chelan County rental regulations and out of respect to the communities we live and work in) allow a maximum of 4 guests under the rental contract. There are never to be more than 4 guests staying at the property during any rental contracted period of time. If more than the contracted number of guests are found on the property the contract will be null and void and guests will be required to vacate with no refund. Please understand and note that we are legally bound to adhere to our contracts with out owners and regulations. We respect and appreciate the efforts that allow us to offer vacation rentals for all to enjoy. Thank you for your input. 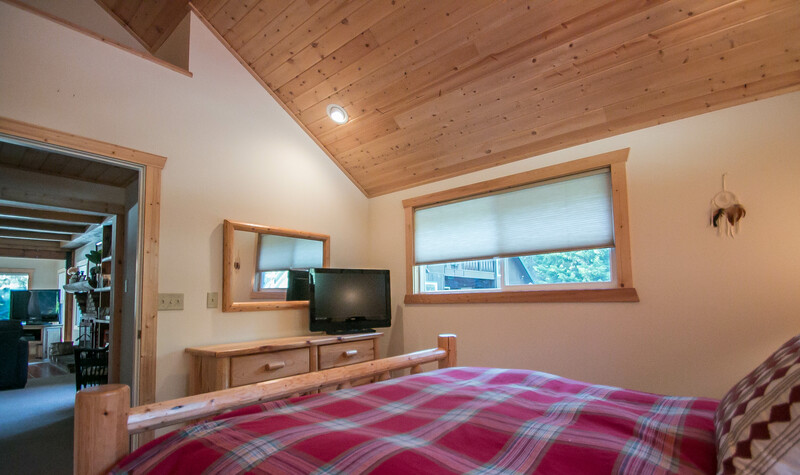 The cabin is really a gem and is one that is much nicer in person, I agree with that. Glad that you had a nice time and we would love to welcome you back with your return guest discount any time. We decided to take a last minute weekend getaway and wasnt really sure what to expect...we ended up having the best time and this property is amazing... pictures do not do it justice! The management company is awesome to work with as well! We will definitely be using them again. Thank you so much Michelle, we are so pleased that you enjoyed your time at the Rivers Edge. We hope to see you again one day. I couldn't believe this place was available in late July nearly last minute. This is one of those properties that actually lives up to the pictures. 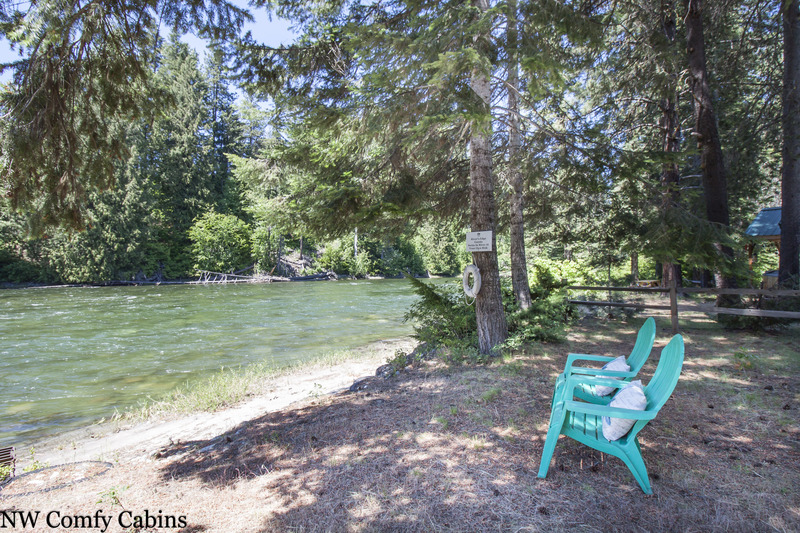 It truly is right on the water and is one of the few properties that has a decent beach to access the river. The location is super quiet and very peaceful. There is no road noise or any other besides nature that I could hear. The cabin itself was super clean and very well taken care of. 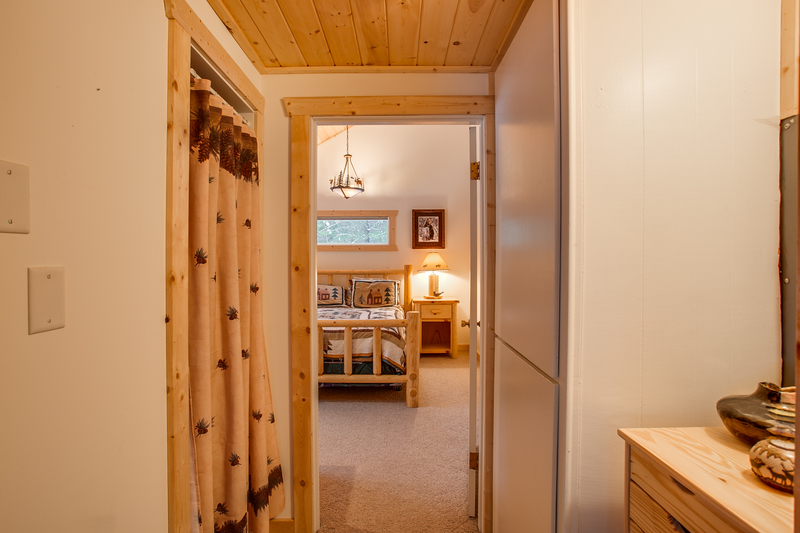 NWComfyCabins was very easy to reach with any questions. Some things I wish could be improved were: the floors throughout the entire house were VERY loud and woke me up when someone walked by, there were mosquitos and yellow jackets around which meant most of our time was inside, I wish there had been a zero gravity chair or a more comfy lounge chair to put by the window. Those are all nitpicks. I loved this property and definitely want to go again. The cabin was exactly as described times ten! It was perfect for two couples plus our 1 dog. The pictures do not do this place justice. It was so amazing, I hope to be back. I loved the views out the large windows. Hanging in the hot tub while large snowflakes fall in to while looking at the stars is just unbelievable. There’s a decent size area to have kids “run around” and play on the floor which is great. The stairs are steep, so keep that in mind if you have a small child (like we do) and grandma who came with us. Also, the fence is great. I usually don’t like the look of a chain link fence but it keeps the view unobtructed and the dogs could go in the yard alone. Thank you! Thank you for taking the time to share your thoughts. The views from the house can be so magical, and the seasons all have such a unique and wonderful appeal at all times of the year. 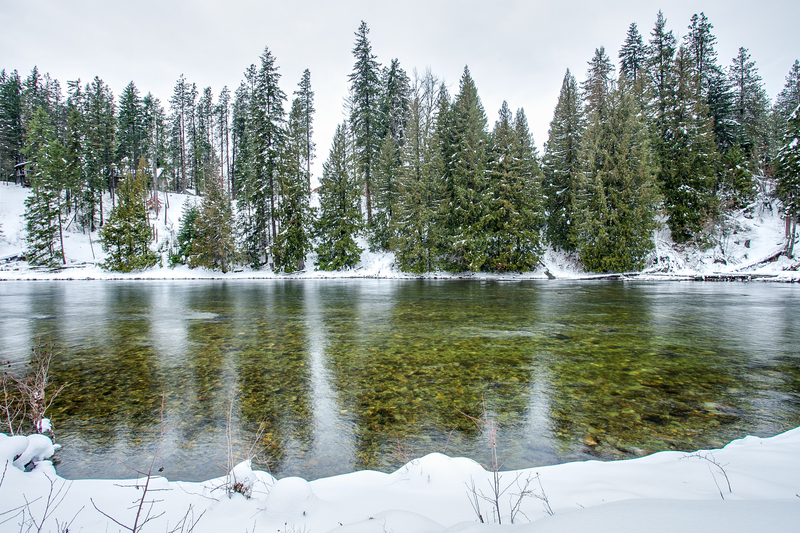 The wide open skies and the sound of the river are hard to march. So happy you enjoyed the same things that we do. Please come back and take advantage of the return guest discount. We would love to have you anytime. The cabin couldn't have been more perfect for our little family! Nice open living space and breathtaking view! House was very clean and had everything we needed. We'll be back for sure! Many thanks to the homeowners for sharing your oasis! We have rented quite a few cabins and this was right up there at the top. 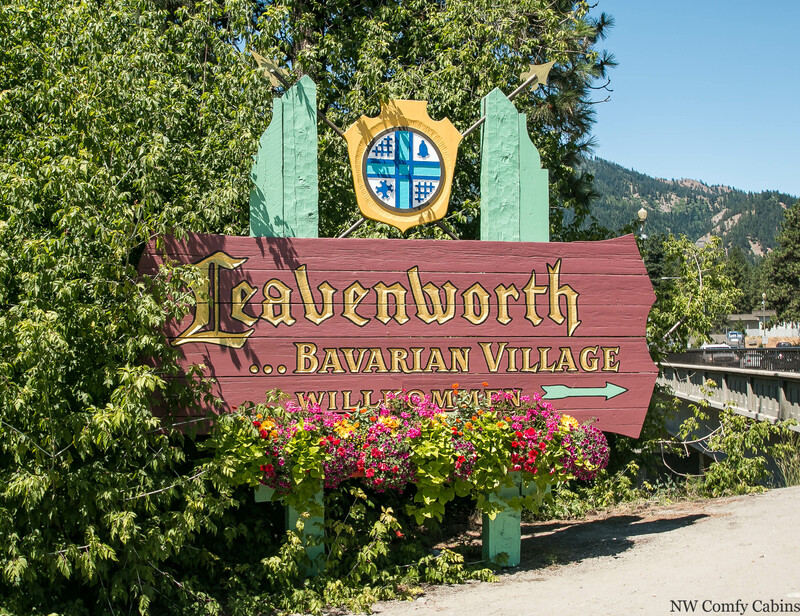 Close to Leavenworth and Lake Wenatchee, great take out for tubing the river, great night sleep with comfy beds, air was nice since it was in the 90s most days, the beach is awesome. Could use some TLC in the yard-landscaping and maybe a bucket at the hot tub so you don't get sand in it from the walkway. We will be back next year for sure. This place is literally on the river's edge. It was absolutely amazing. 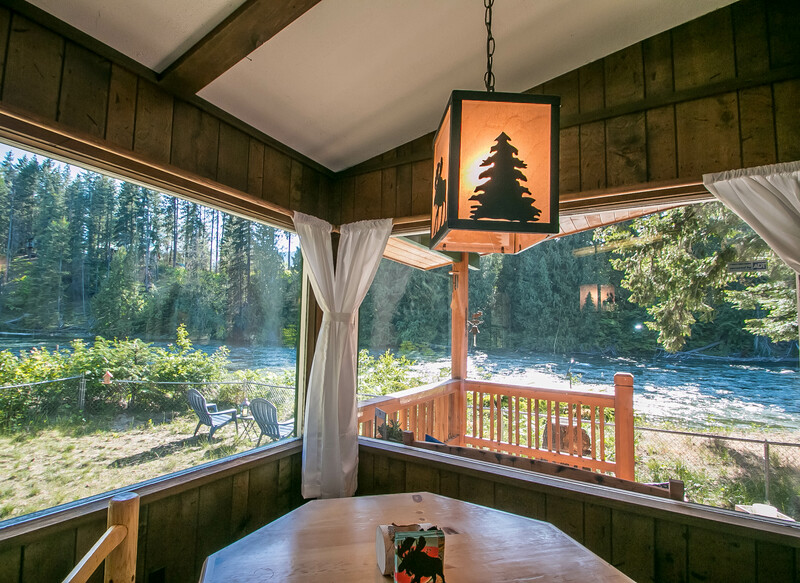 The back of the cabin has large picture windows, so when we woke up every morning it felt like we were perched over the rushing Wenatchee River. We stayed here for our anniversary. 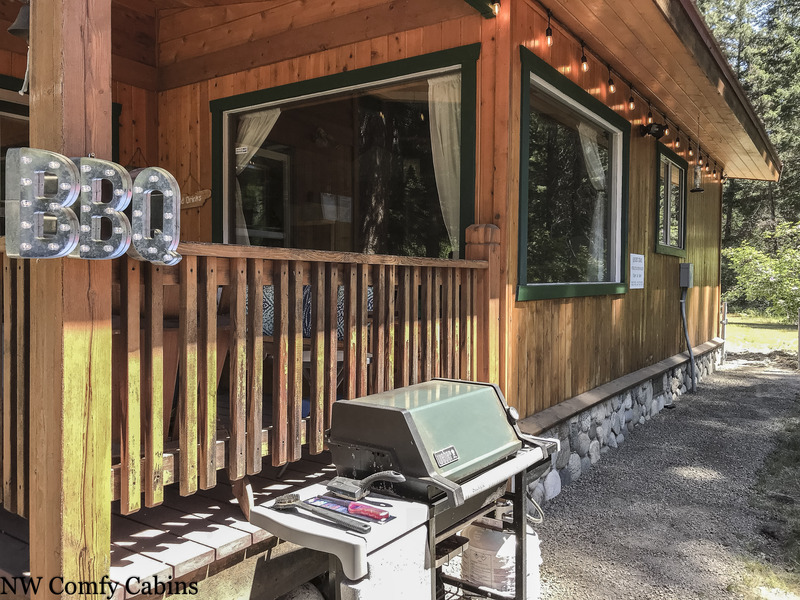 The cabin is stocked with everything you need to cook and never leave. Very private hot tub. The shower wasn't the greatest, but it worked for us. The bed was comfy, slept great! I spent most of the three days we were there with my beach chair in the water on the sandy beach. 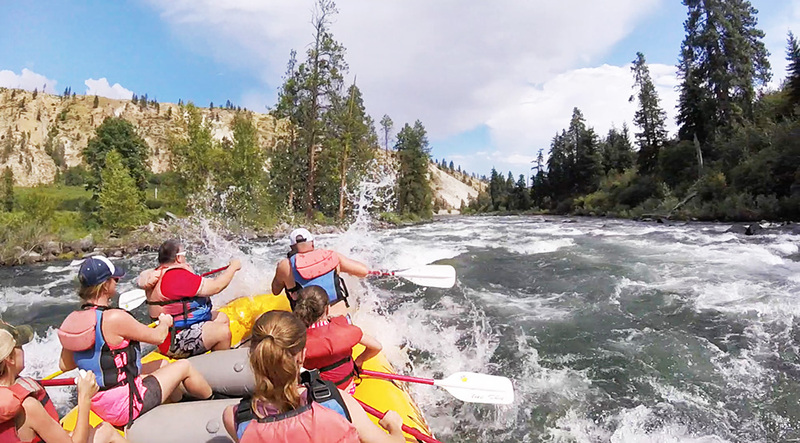 The river was still too cold to float, but we saw several rafters go by. We will definitely be back. Manager response on 2017-06-13 - Response from NW Comfy Cabins Inc. The cabin was beyond our expectations. 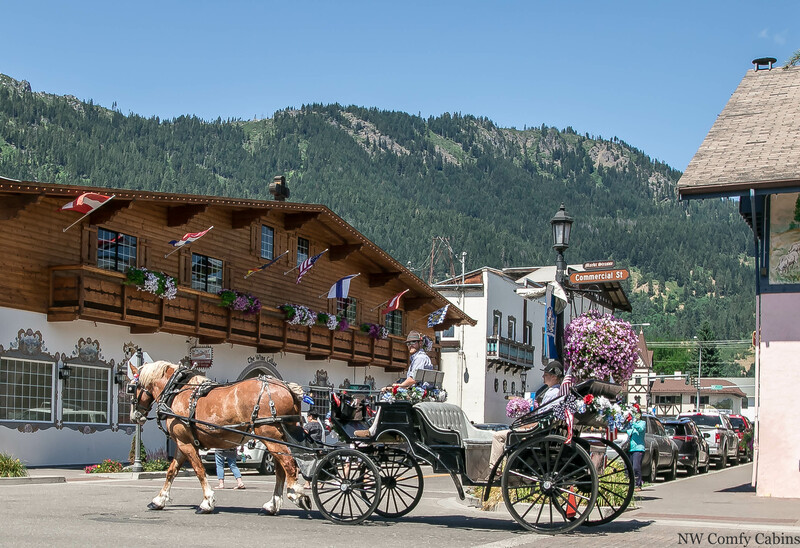 It now rates in the top finds globally which includes, Lake Como Italy, Moose Wyoming, farm houses in Greve Italy, Leipzig Germany, and El Tovar, Grand Canyon. The hot tub under the stars is magical. We came to celebrate my son's graduation and eventual move into adulthood. We will return to this place and always remember our first magical visit. Manager response on 2017-06-26 - Response from NW Comfy Cabins Inc. 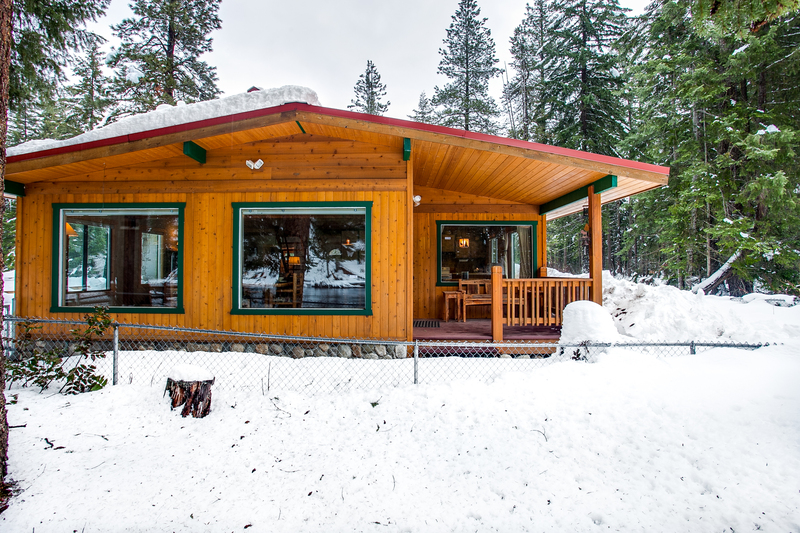 Perfect time to rent the cabin in the snow! 2nd time coming back to this exact cabin. Everyone loves how great it was. 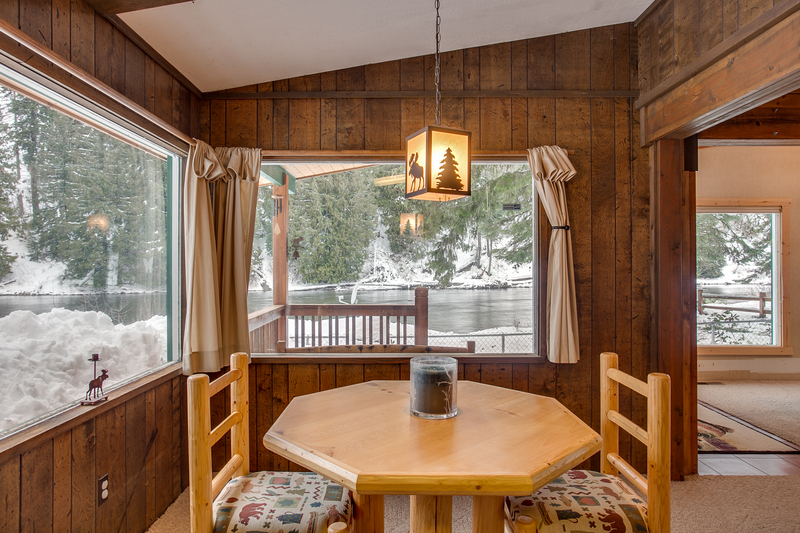 This cozy cabin has an absolutely breathtaking view right when you walk in the door! Hot tub in the snow is great! Loved the small fenced in yard for the dogs too! We did notice lots of stink bugs throughout our stay, which was not terrible, but a little creepy when they kept popping up! I also noticed many dirty dishes in the cabinets, probably from previous visitors not hand washing well. 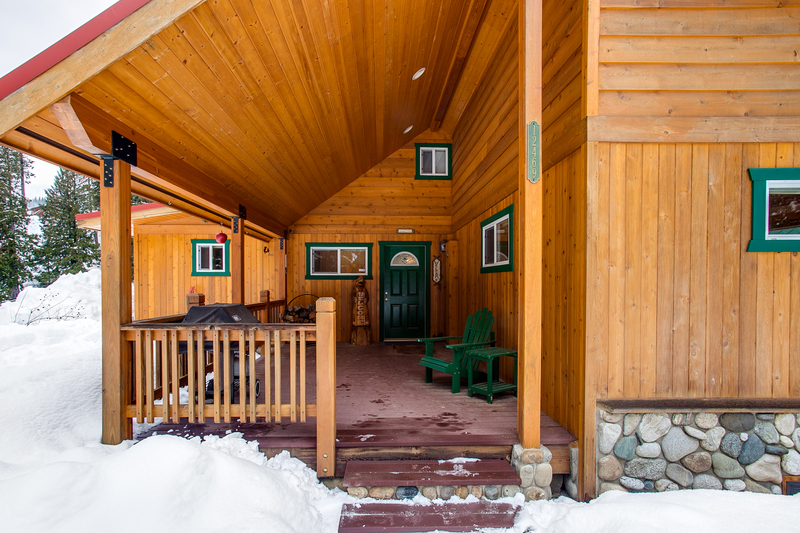 It really is a beautiful location and a cute little cabin though! The rental company however, was slightly off-putting. When booking I asked about snow conditions (meaning the driveway and backroads getting to the property from the highways). I got a somewhat rude response from the woman who called me saying, “well have you ever been to the mountains before?” Turns out they have a local person plow the roads and driveway, which I later learned from an email the company sent a day or two prior to our stay, but this was not communicated during our phone call when booking. I didn’t appreciate that one phone call, but overall it didn’t affect our stay. Loved that cabin was right on the river. Very clean. Water was nice and hot... luckily being there's no dishwasher. Didn't mind washing dishes, as I had a nice view of river to gaze out at while washing. The home is well care for with all the amenities for a relaxing vacation. Loved the location. Great fenced backyard that is a great safety feature if staying with young children. I definitely plan on coming back next year and bring my young Grandson. Wahoo. We will be waiting for next year :) Danny! We had a great time at the cabin. Great place to relax and unwind. Enjoyed sitting in the hot tub and hanging out down by the river. The heater in the cabin was not working but they sent over a heater and wood to build a fire which we did. Everything turned out fine! This is exactly what we wanted. We rented this for a quick weekend getaway. The snow topped it off. The experience was outstanding. Would highly recommend to anyone (and already have!) The special touch of the Christmas tree and decor was awesome. The staff was a delight to work with. Thank you so much! Manager response on 2016-12-20 - Response from NW Comfy Cabins Inc. Cozy cabin! Wife and I came there for a weekend getaway, and we loved how it was in the woods with no service for noone to bother us. Inside was nice and clean. Kitchen needs to be updated. Sink and the range were older but still worked great. Loved our vacation and will definitely be back to either this cabin or their other options! 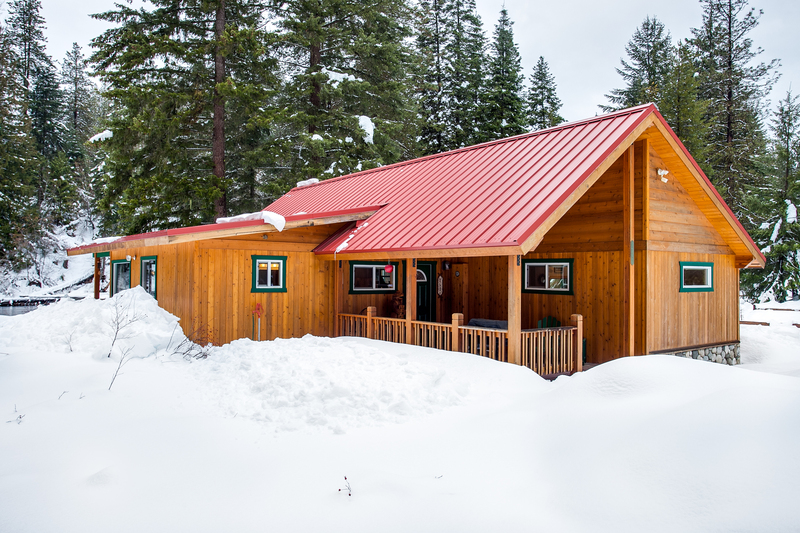 Manager response on 2017-02-01 - Response from NW Comfy Cabins Inc.
Really enjoyed the cabin location and cabin itself. 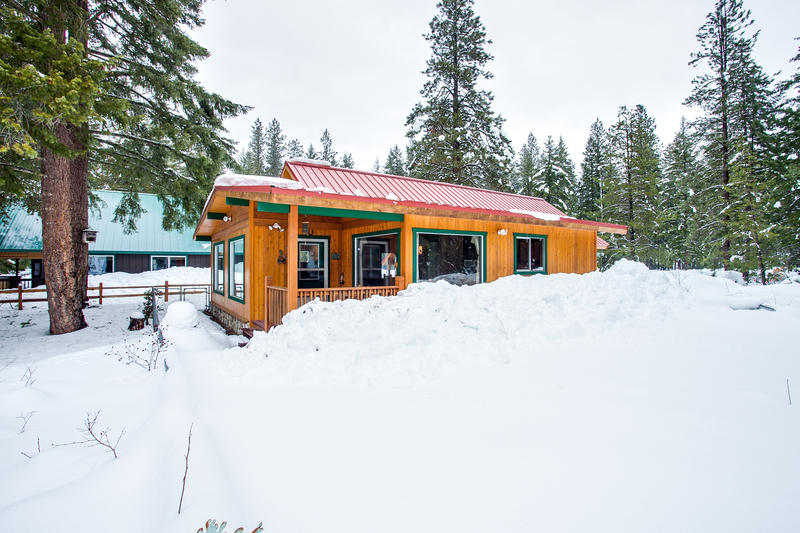 It was private, cozy, clean, and had all the amenities we could want for our family of 4. We've stayed in several cabins over the past decade and this was the best. The Christmas decorations were a wonderful addition to our Thanksgiving dinner and the layout of the cabin served us well. Thank You! Everything was wonderful. Communication was very easy. Hot tub in the snow was perfect. The cabin was super cute and cozy and very clean too! 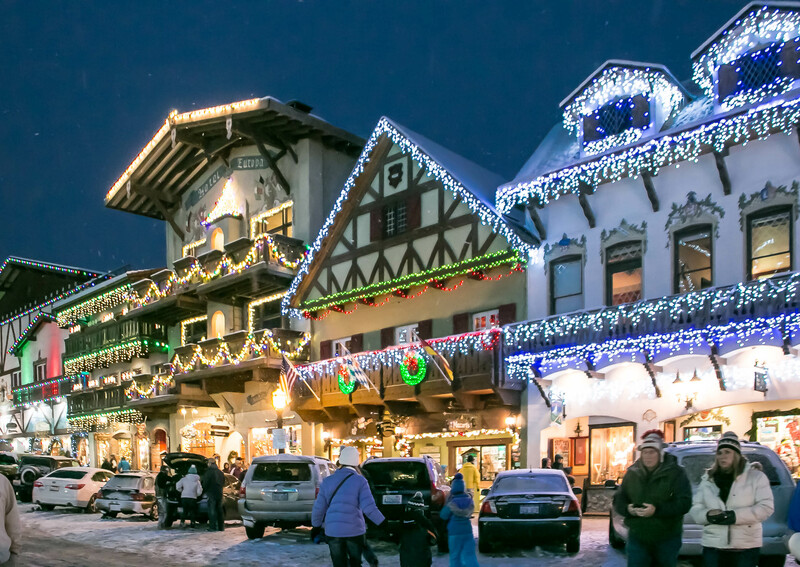 A great getaway before the holidays. There was some confusion with with our reservation, so we ended up in this cabin instead of the one we booked originally. Despite this, we had a lovely stay! We came for the snow, and it was true winter wonderland around! 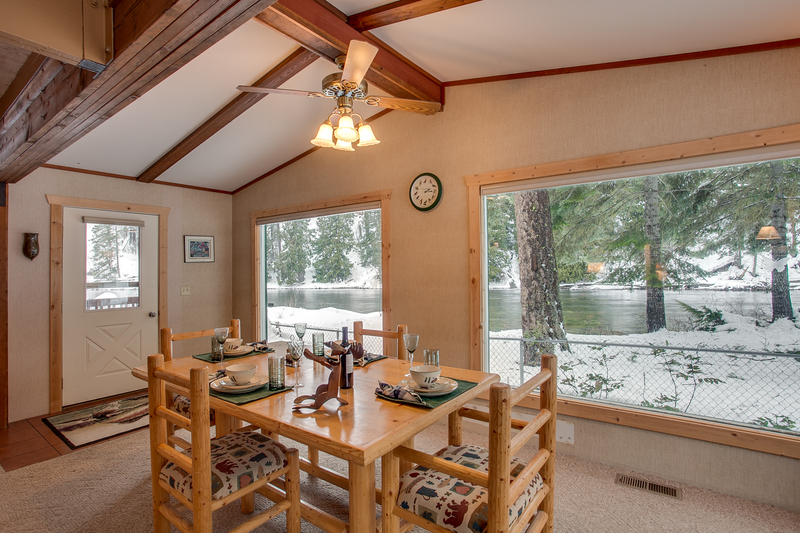 The cabin itself was very cosy, nicely furnished, lovely wood fireplace, fantastic view of the river. 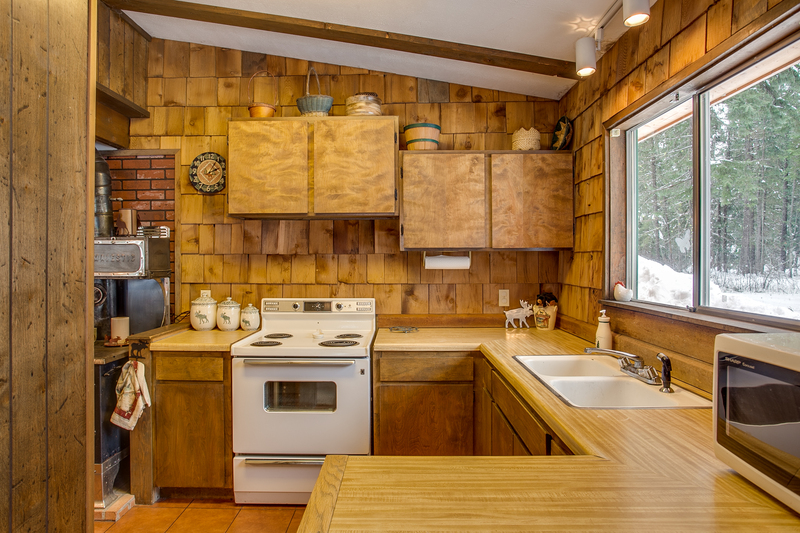 It could be cleaner, and could use some updating (bathroom, kitchen),and perhaps it would be a good idea to provide some wood for the first night, but the overall experience was positive. There's hot tub outside, which was really extraordinary to use in the freezing weather and snow everywhere! The Christmas tree and decorations were a really nice touch! Great place to refresh and unwind! 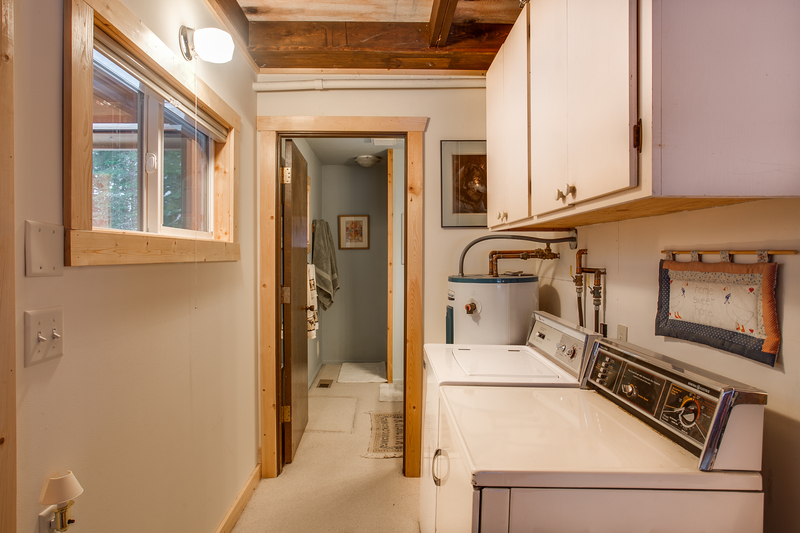 Riverfront, clean cabin. 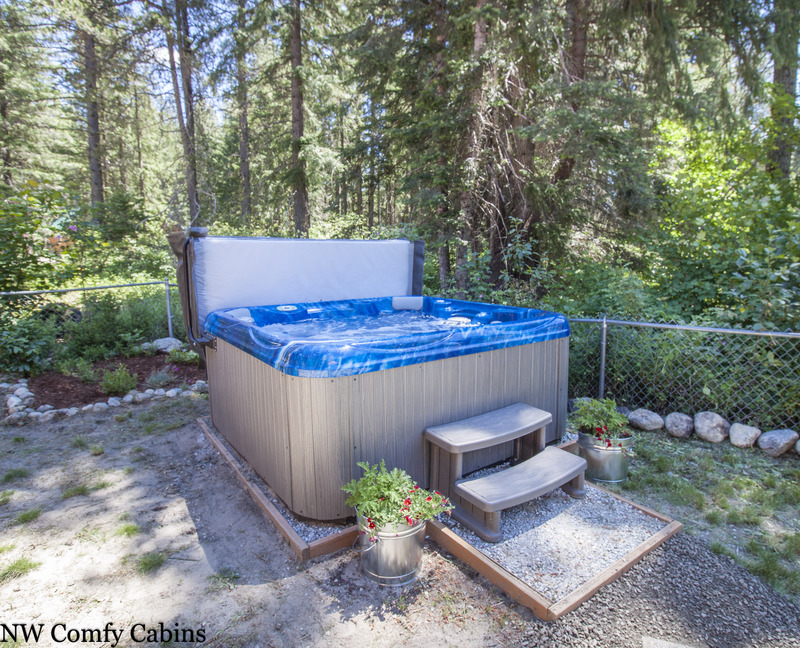 Awesome hot tub, cozy, just what we were looking for. The only issue we came across we're some bugs. I would recommend a fumigation, although there were only 10 or so that we saw. Everything in the kitchen was great BBQ grill was great. We had a fun and exciting trip and will likely come out again soon, Thank you comfy cabins. Awesome, love to hear it! Danny!